Very first signs of spring are now visible along the Yenisei bank. 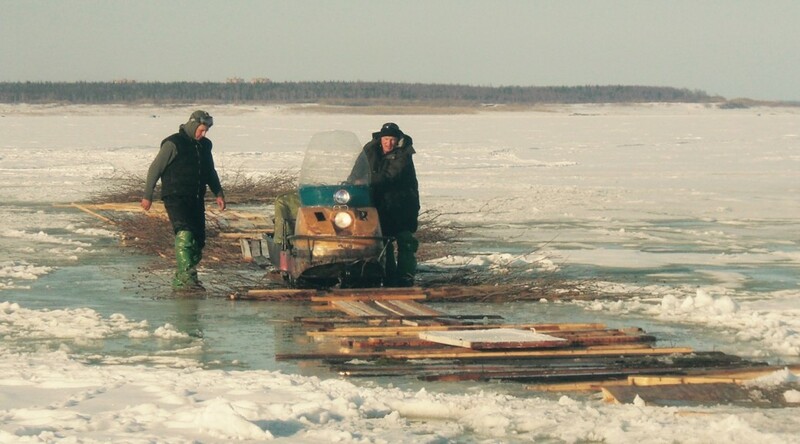 Locals develop different type of strategy to cross Yenisei melting edges. Article précédentMay 10 : Intensive samplingArticle suivantMay 12: Day off-overnight fishing !